DISH Top 250 for Movie Lovers! Get the Extra Movies You Want! 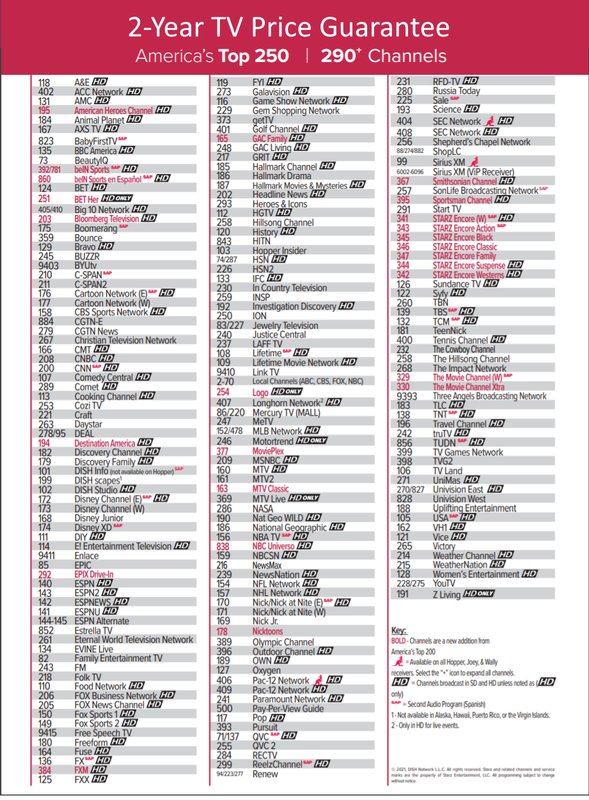 The Dish Network Top 250 has 290 digital channels. The Top 250 plan has channels for everyone in the family. If you love movies you are going to really love the Top 250. With 17 extra movie channels all you have to worry about is making the popcorn.